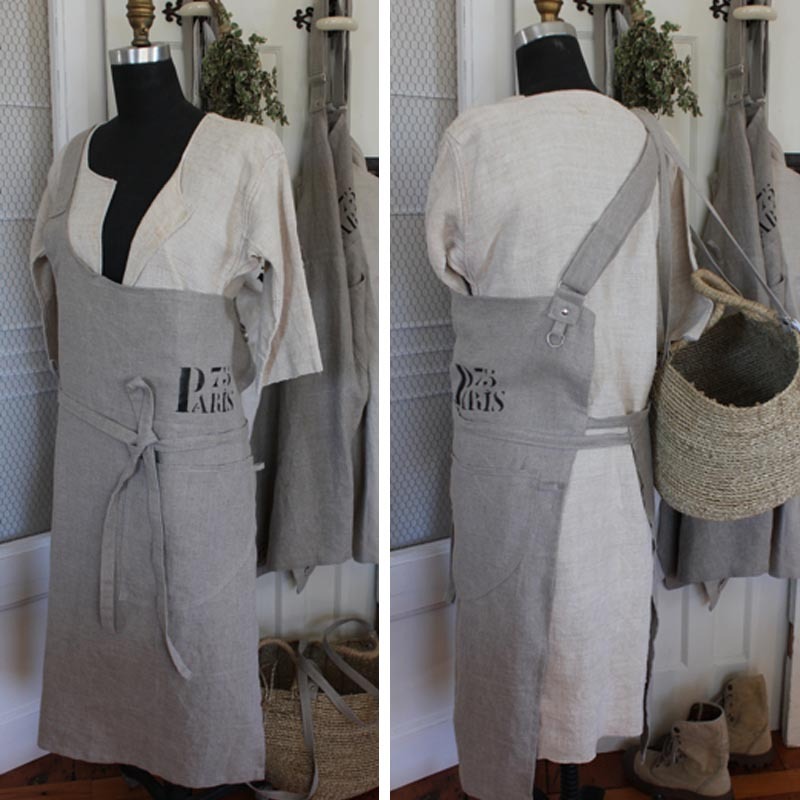 Long Apron with hand stenciled “B” for Butcher, Baker, Barbecue, available in natural tones and sarlat stripes. 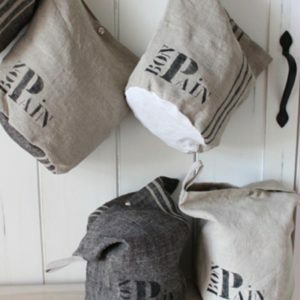 Already Washed, simple to care for (Machine wash + dryer or Natural Dry), and won’t shrink. 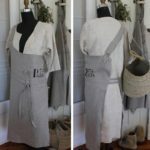 Perfect for cooking, gardening, artist, as an apron or layered over other pieces. 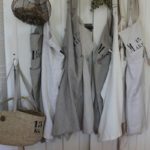 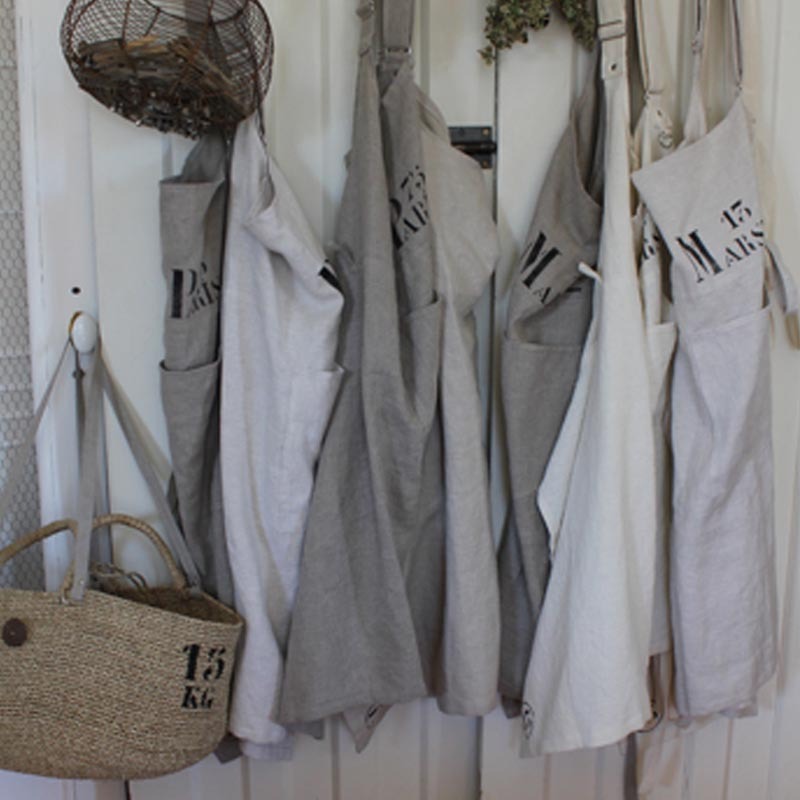 Purchase your 100% linen butcher apron through the online shop.